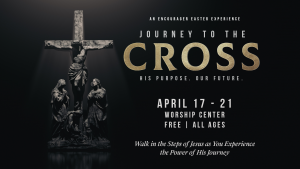 Experience Easter week in a new way and join us for an interactive devotional experience for all ages. You’ll walk through 7 incredible areas displaying the events surrounding the betrayal, crucifixion, and resurrection of Jesus. As you make your way through the stations, you can touch, pick up, and even smell the items that you see. Sit in the upper room and see the last supper; feel the crown of thorns and the instruments of suffering; touch the cross and witness the empty tomb. A printed guide will help you reflect on each element’s relevance to the story of Easter, and how the truth of the Resurrection can impact your life today. For those who would like to receive prayer at the end, our prayer team will be more than happy to minister to you. Be sure and invite your friends and family! 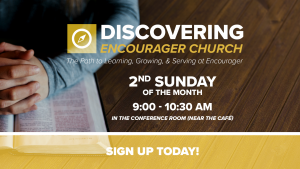 If you would like to become a member of Encourager Church and learn how you play a vital role in our mission, join us for Discovering Encourager Church. 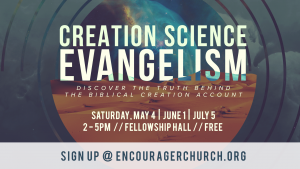 This class will meet every second Sunday of the month at 9:00 a.m. in the Conference Room located near the Café area. Please sign up by clicking the link below. Sign up to attend a New Member Class!